Our Sunday we will offer two options for our full day sightseeing. 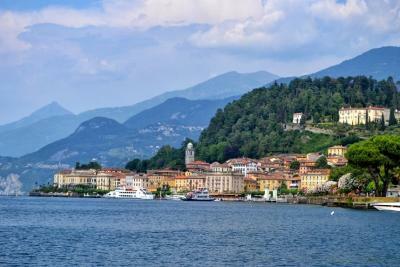 The first will be a private boat ride on the Lake to view and visit the most picturesque villages and villas of the central part of Lake Como. Our English speaking guide will give us a commentary on the history of Como as seen from the water. The first stop is a visit to Villa del Balbianello, built in 1787 as a small Franciscan monastery, where there is a fine collection of Chinese, African and pre-Columbian art, English and French furniture. The Villa was left to the Italian National Trust in 1988. We will continue to the celebrated town of Bellagio which the aristocracy from Lombardy turned it into a sparkling Italian Versailles in the 18th and 19th centuries. 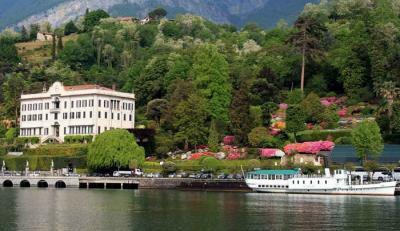 Bellagio is called the pearl of the lake and considered the most beautiful town in Europe. Tuesday and Thursday morning’s we will run buses to shopping centers such as Foxtown. with all the top designer shops. Also on Tuesday and Thursday in the afternoon we will offer a boat tour to Villa Carlotta with its magnificent gardens and art masterpieces in over 70,000 square meters. 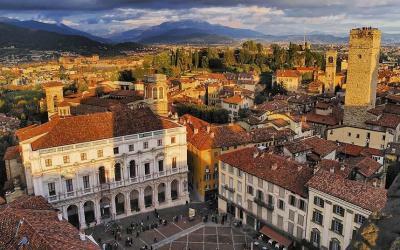 We will also offer as an alternative on those two days revisiting Como for a Food Tour. This tour will take you to the wonderful local eateries tasting your way around the old town. Our second tour is by luxury coach tour to Bergamo, a delightful hilltop town divided into two cities, the upper and lower levels. The main attraction of the upper town is the Piazza Vecchia where the Cittadella was built by Visconti as well as the Palazzo della Ragione. Time to shop and have lunch in this charming town will fill out your day. We will explore the city of Como on Monday. Our walking tour will take us through the old city within the medieval walls stopping at each highlight learning the history of Duomo, the Broletto its 13th century town hall, the San Fedele Church containing wonderful frescos, Porta Vittoria Square and much more. During the afternoon on Wednesday a visit to Lugano across the Swiss border is offered. Ride a funicular which will bring you to the peak of Monte Bre for stunning panoramic views of the city. Sightsee along the historic Via Nassa and a visit to see the 1529 depiction of the Passion of Christ by Bernardo Luini. Tour details and pricing will be sent to all registrants about three months prior to arrival.